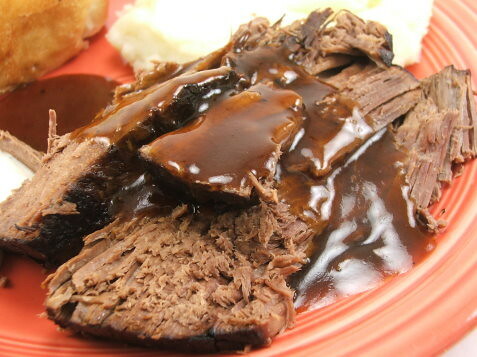 I love a good old-fashioned roast beef dinner, but I really do not have the time to make it during the week. Well, I didn’t until now. A few weeks ago I had a serious craving for some roast beef, the tender, fall-apart kind my grandmother used to make when we would go to her house for a visit. She would slowly cook hers on the stove for hours. I, sadly, work all day and knew the only way I would get what I wanted was to break out the old slow-cooker! You want to give this roast a good sear before slow cooking it. Yes, you could skip this step but why would you? 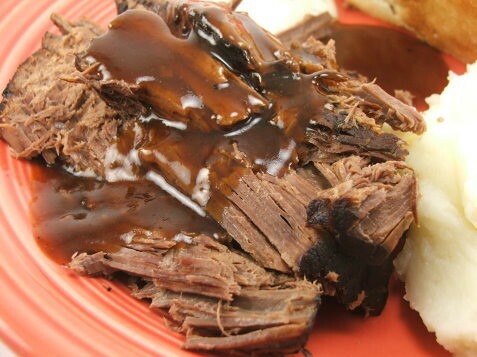 Not only does it give the finished roast a lovely color, it adds a lot of flavor. 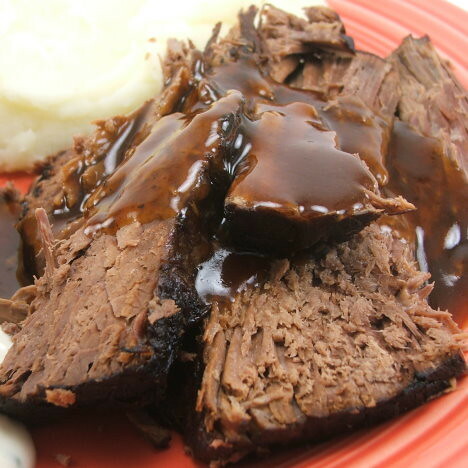 It also makes the liquid you add to the slow-cooker that much more flavorful. 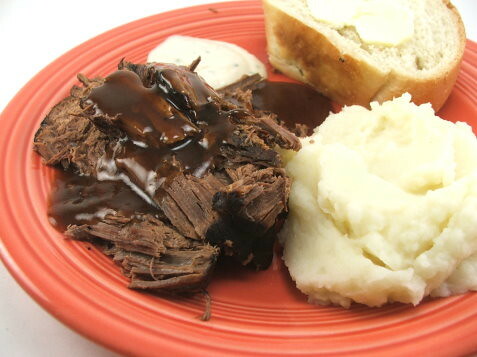 Flavorful liquid means gravy with loads of beef flavor. That can’t be bad! This recipe is adapted from one found at Yum Sugar and is my entry for this week’s Thoughtless Thursday! Enjoy this with mashed potatoes, gravy, and crusty bread with butter. It just screams comfort! 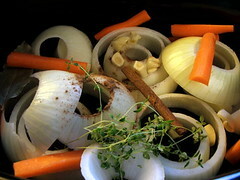 In the liner of your slow-cooker place the carrots, onions, garlic, bay leaf, thyme, clove, allspice, and cinnamon. 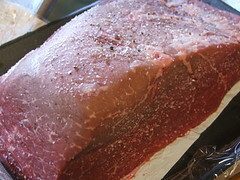 Season the meat with the kosher salt and pepper. In a large pan, over medium high heat, add the vegetable oil. 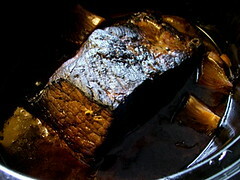 When it shimmers and smokes slightly add the seasoned roast. 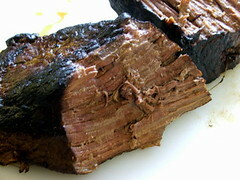 Allow the roast to brown on all sides, about 3-6 minutes per side or until the meat develops a dark crust. 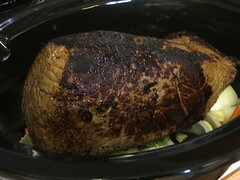 Once browned well, place the roast in the slow cooker. Deglaze the pan with the beef broth, then add the tomato paste and mix well. Bring to a simmer then pour over the roast. Add the sherry then cover and cook for 8 to 10 hours on low. 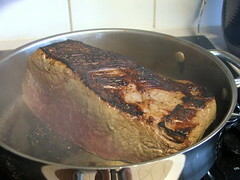 Allow the roast to rest for 10 minutes before serving. 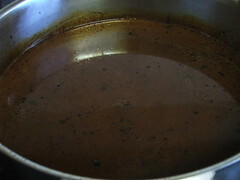 If you like you can strain the juices from the pot to make gravy. Simmer them down while the meat rests, then thicken with a little cornstarch slurry, or make a roux in a separate pan and add the liquid.